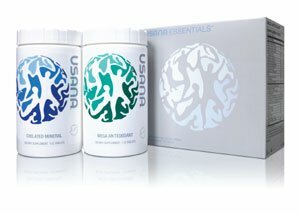 USANA’s foundation products are the EssentialsTM – the advanced nutritional products for everyone, every day. They are designed to provide optimal nutritional support for every age group. The Essentials are formulated to do more than prevent nutritional deficiency. The nutrients in the Essentials are set at levels to maintain optimal health and energy levels, based on the latest scientific data. The Essentials for adults is a combination of two products: Mega Antioxidant and MultiMineral. The Essentials is vegetarian safe.